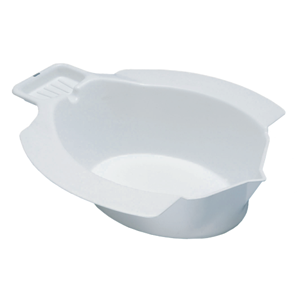 This smoothly contoured plastic moulded bowl fits all standard toilets to create a bidet. Portable Plastic Bidet...This smoothly contoured plastic moulded bowl fits all standard toilets to create a bidet. It has an integral soap dish and sits at the correct height on your toilet to enable private and independent attention to personal hygiene. The water in the bidet can be disposed of into the toilet.